Yes! its true! 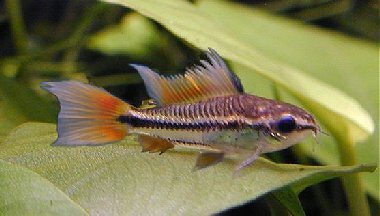 not apistogramma cacatouides...CORYDORAS cacatoudies! wow.....this is a good one,cannot imagine if this exists. cute, but no cigar, mez! In front of the Computer. Dorset. UK. Mez, have you seen the other new fish yet. Just happen to chance on this old thread. Funny!! Photoshop creation. Thank goodness. If it was real, I think I'll faint!! All times are GMT +8. The time now is 15:30.